Curvo. El display del primer smartphone de LG con pantalla curvada es ciertamente llamativo, pero justo esta característica clave resulta ser el problema. Las otras características están al nivel de la competencia de gama alta: Un veloz Snapdragon 800, 32 GB de almacenamiento y cámara Ultra HD así como una carcasa que se autorrepara crean un paquete interesante, no obsatnte. This is LG’s best smartphone to date, and is a serious contender among the top tier of the market. Street prices vary enormously, from around $600 to over $1000, and if you can pick one up at a decent price you aren’t likely to be disappointed with it. Living on the cutting edge of technology doesn’t come cheap, especially if that technology is still in its nascent stages. The G Flex will cost you Rs 70,000 a pop and that’s a lot of money for a smartphone. As a ‘phablet’, the G Flex is easily amongst the best there is. It’s built very well and looks absolutely stunning, second to the Nokia Lumia 1520. And it’s not like LG compromised on the hardware as well since it’s every bit as powerful as the G2. Even for early adopters the price is prohibitively expensive. The argument is that you're is paying for exclusivity - but it still seems as though you're not getting enough of it to justify the price premium over other phones with similar specifications. The futuristic feeling alone won't be worth that much money to a lot of buyers. 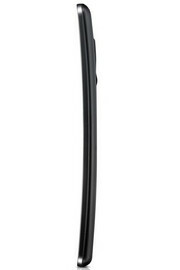 If you have the money and want to splurge, then by all means, go ahead and check out the G Flex. We, personally, would rather open a fixed deposit account or take a luxury vacation. Living on the cutting edge of technology doesn’t come cheap, especially if that technology is still in its nascent stages. The G Flex will cost you Rs 70,000 a pop and that’s a lot of money for a smartphone. As a ‘phablet’, the G Flex is easily amongst the best there is. It’s built very well and looks absolutely stunning, second to the Nokia Lumia 1520. And it’s not like LG compromised on the hardware as well since it’s every bit as powerful as the G2. Battery life is also one of its strong suits. The G Flex has some good elements but the bottom line is that the device itself is too big and the curved screen, aside from being just 720p, doesn't bring any real benefit. We award three and a haf stars. The LG G Flex has some decent hardware including a great camera and more storage than usual. Excellent software is also a lure but its main feature, the curved screen, is too big, only 720p and offers no real benefits. This phablet is too gimmicky so you're much better off saving some money and going for LG's proper phone, the G2. 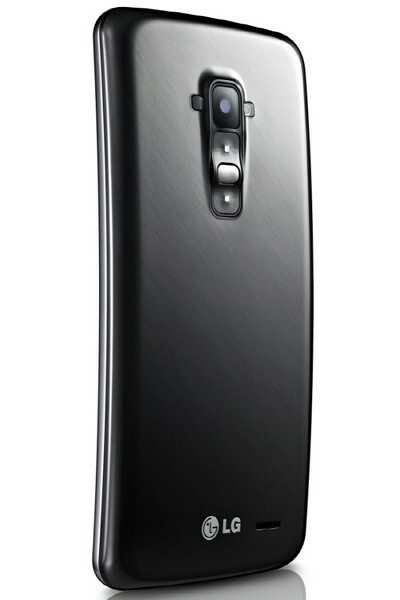 The LG G Flex's closest rival Samsung's GALAXY Round comes with a horizontally curved screen. It lacks the self-healing tech and flexibility that's there on the G Flex. ore importantly, it's only available in Korea. However, just because there's no direct competition to G Flex doesn't mean that it's a good phone. We don't deny the fact that creating a flexible phone is an engineering achievement. But then, for consumers there's not even a single logical reason to buy this expensive handset. Those who prefer large screen phones should consider the GALAXY Note 2 and Nokia Lumia 1520. There's more to this phablet than its curved chassis, although the moderate screen resolution and lack of storage expansion are disappointing. On the plus side, battery life is good and LG's Android tweaks are largely successful. Overall though, the G Flex is simply way too expensive. The G Flex is just an LG G2 with a 6-inch P-OLED screen. Unless you really want a phone that flexes and has a curved display, there really isn’t a lot of benefit in buying the phone especially at its current retail price. However, LG should be duly credited for innovating with their form factor and materials. The G Flex might not make much sense right now, especially with the LG G2 around, but its innovations will surely start to trickle through more devices and soon rule the smartphone industry in the coming decade. There’s no doubt the LG G Flex is a unique smartphone. Not only does it have one of the largest displays on the market, but this phablet also has a curved form that really sets it apart. Overall, we were surprised at how comfortable the G Flex felt in the hand. And for a device that has such a large footprint, it didn’t feel any heavier than an average smartphone. This biggest issue I have with the LG G Flex is the fact that it's impossible to recommend. A sky high price tag means the LG G Flex is immediately out of many people's price range and while the "flexible" nature of the phone is certainly interesting, in it's current form it's little more than a gimmick. Want a top of the line LG smartphone? Then buy the G2. Want a large screened handset? Then take a look at the Samsung Galaxy Note 3 or Nokia Lumia 1520. Finally, while I find the curved design to be very aesthetic and pleasing in general, I wouldn’t say that it makes a big difference in ergonomic terms, unless you have the G Flex in your back pocket, in which case it does matter. While it’s a great phone, and I’m happy to give it an 8/10 score for those who like big phones, I think that LG can improve the “plastic” feel a little by using a slightly different plastic. I would like to see a better camera as well, something like the LG G2 or better. Then it would get that much closer to perfection. So many of the phones we review are exercises in dull, rote iteration that it feels a shame not to be able to give the LG G Flex a commendation. However, its screen issues, high price and interface issues mean we can’t. It isn’t harder to use than any other 6-inch phone, but such a large body is problematic too. The LG G2 costs half the price, and is in several respects the superior phone. LG deserves a pat on the back for having the stones to bring as unusual phone as this to market. But seriously consider the HTC One or the LG G2 unless having a huge, curvy screen is really what your heart wants most. The LG G Flex is the phone you never knew you wanted. It's probably the phone you still don't want unless you're willing be adventurous. The large size and curved display make for some awkward encounters. That might be enough to scare most people away, especially when they learn that the G Flex isn't actually flexible. It can withstand pressure better than most, but it can only survive light bending. Don't put this in a back pocket and think it's impervious to body weight creating problems. I'd only recommend the LG G Flex to a very specific type of person. That person must love the idea of trying something new and not being immediately turned off by an out of character device. He or she must love the extra-large smartphone segment and not be picky about a resolution that doesn't take full advantage of that size. The camera is decent, the battery life is fantastic, and the unique form factor might provide some subtle benefits. The G Flex is a strange device and not one that most people will readily embrace. If you're willing to bend a little and try something new, the LG G Flex awaits. Other pluses are unusually large battery capacity and a feature-laden incarnation of Android that’s not as ugly or intrusive as Samsung’s alternative. This combination of features delivers what I reckon to be the best large mobile/phondleslab/phablet on the market. The self-repairing plastic casing seems less of a must-have feature even though it seems to work. Personally, I'd have thought a metal finish would look and feel more appropriate, especially given the price tag. The G Flex is a good phone, but not one I would want to have for two years on contract. The display can be a real eye sore, the price is too high, the camera leaves a lot to be desired, and the software is old and dated. As an Android lover who is constantly looking for the perfect experience, this just isn’t it. With Samsung launching the Galaxy S5, HTC launching the successor to the One, and a possible successor to the G2 coming from LG, the G Flex is just too little, too late. The phone does have upsides though, with its self-healing back (I never got to test it since I don’t drop my phones), good performance, and gorgeous looks, but with a full lineup of devices coming in 2014 that are supposed to be awesome, this phone just can’t keep up with the hype. LG has greatly improved their smartphone devices and I look forward to what else they launch in 2014. 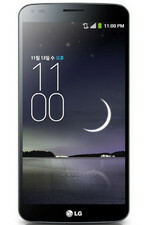 The G Flex seems to be a technology test device with the unique display design and back material, but there are outdated specs (low resolution display, older camera technology, and an older OS on a device that is priced higher than most others on the market. I could understand if the G Flex was launched as an unlocked device, similar to what Sony has been doing for most of their Xperia line, or on a single carrier like AT&T or T-Mobile to show off their curved display. However, it is definitely not worth launching on three major carriers and I doubt it will sell to many consumers as we get into the new devices of 2014 launching in the next few months. With its curved display and "self-healing" rear panel, the LG has broken the smartphone mold. The curvy handset gets points for its strong performance, long battery life and colorful display. However, while we like the G Flex's screen, other flagships offer a full 1080p HD display for the same price. We're also still not fans of the inconvenient Rear Key design. The G Flex is an innovative smartphone that offers a colorful curved display, long-lasting battery and impressive performance. And the phablet's 6-inch flexible chassis and self-healing rear panel are sure to turn heads. However, the 720p resolution is a slight letdown, as is LG's decision to bring back its somewhat cumbersome Rear Key. Back to my original question: Does "different" automatically mean "better"? In the case of the G Flex, the answer turns out to be no. The phone's curved and flexible body is a noteworthy feat of engineering but not terribly meaningful in terms of actual real-world value, especially when coupled with the phone's dismal display. The G Flex does offer excellent performance and outstanding battery life, but with all of the caveats that accompany those traits -- and all of the more well rounded smartphones available within the same price range -- it's difficult to recommend this device as a sensible purchase for most people. The G Flex is an Android flagship phone that desperately wants your attention. And this device grabs it with a unique curved screen and "self- healing" back. But while LG has certainly innovated in the design department, you still have to deal with the cumbersome Rear Key placement. If you put the special features aside, you're left with a device that offers a beautiful (albeit lower-res) display, strong performance, solid battery life and a sharp camera. While we're not entirely convinced this device really needs a curve, the rest of the device is fine enough to be worth the cash it costs. We'd certainly rather have a 1080p display as long as we're working with 6-inches of screen, but as it is with all modern devices, if you've never had 1080p in your hand before, you might never notice the difference. Again we'd like to encourage you to go into the store to see about the display, especially because of the speckle effect mentioned above, but also to see if the curve is worth your time. In the end, we'd rather have the LG G2 over this device, with the only discernible positives here over that hero device being in the holding of the machine - it truly feels like you've got something special in your hands when you hold the LG G Flex horizontally, playing a high-quality video for yourself. If LG was trying to re-imagine the form factor of a smartphone, they’ve done as much. I don’t think we can consider the current G Flex successful, though. The screen is lacking punch, and the curvature didn’t seem to fit anywhere in life comfortably. On a flat surface, it’s announcing its curve. In a pocket, it’s bulkier than we want. In the front pocket of a laptop sleeve? Same thing. Comfy to hold, but it creates more negative space when not in use than a normal phone would. If it had a more pixel-dense screen and a more subtle curve, we’d probably like this one quite a bit. We still like it, but more because it’s novel, not because it’s a great smartphone. With a second iteration, this could be one you’re seeking out more for its utility than its curiosity. LG definitely deserves credit for bringing new and exciting technologies to smartphones, and I look forward to seeing what comes next. But for right now, the G Flex feels very much like a first-generation product whose technologies need to mature a bit before they’re ready for the masses. Could curved smartphones be the future or are they just a gimmick? We were certainly impressed with the G Flex at first glance - it's much easier to see the advantage of the curved shape once you've actually got the phone in your hands, which is presumably why the maker is previewing the phone in selected EE shops before it's available to buy. 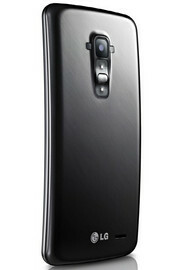 With Samsung also set to introduce a curved handset - could this be the future of the smartphone? We'll just have to wait and see. Stay tuned for a full review. The curved screen of the LG G Flex is certainly more than just a gimmick, but it's bound to come at a premium (LG has yet to announce UK pricing). As with all new technologies, it might still be a bit raw to tempt many to jump in early, but LG should be applauded for the engineering and design innovation at work here. It's the kind of phone makes us excited about phones again. There’s a lot about the G Flex that’s brilliant, from the searing performance to the massive battery life and unusual, bottom-hugging styling. But that only makes the disappointments even more frustrating. Clearly it’s no dud, but neither is it revolutionary, particularly as there’s little genuine benefit to the curved design. It proves it can be done, though, and that opens the door to hopefully far more interesting and useful designs in the future. Give us back our Full HD, OIS and make it genuinely flexible, and we’ll be right at the front of the queue for the next Flex. If you want an ultra large smartphone, you may want to consider giving the LG G Flex a look. I was most impressed with the performance and battery life, which I've mentioned countless times now, but that's really what sets smartphones apart now. You can have a brilliant display, great design and all, but if either performance or battery life are lacking, it's just not as appealing. At least the G Flex nails those last two. With its curved design, flexible chassis and self-healing rear panel, the LG G Flex feels like the future of smartphones today. We also love the fast Snapdragon 800 processor and LG's new Dual Window multitasking feature, even if it copies Samsung's Multi Window software. The feature-rich and sharp 13-MP camera is yet another plus, delivering slightly better image quality than the Galaxy Note 3. It's not too often we get to review a product with a completely new form factor, but we relish the opportunity when we do. The LG G Flex is a good phone, but there is no way in h-e-double-hockey sticks that we'd recommend that you go out and purchase a handset that costs more than $900 unless it also gives massages and does the dishes. 800 MSM8974: SoC ARM de gama alta con 4 núcleos de CPU de hasta 2,3 GHz y una GPU Adreno 330 de hasta 450 MHz. Se basa en la arquitectura Krait 400 de Qualcomm y es producido en un proceso de 28nm HPM. 0.176 kg: Este peso es típico de smartphones. 76.74%: Esta evaluación no es convincente. Debe ser considerado que difícilmente existen portátiles que reciben una evaluación abajo de 60%. Esta portátil es evaluada abajo del promedio, esta realmente no es una recomendación para la compra.